This unique poster is a testament to the personalities of both Muhammad Ali and of the college student who owns it. 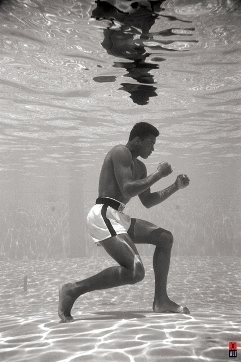 The legendary boxer is shown training underwater in a pool, with eyes determined and dukes up. This poster is a cheap way to decorate your dorm room wall while making a valuable statement for yourself and others. A cool gift idea for any college student, this poster will bring character and spirit to the dorm room it hangs in. 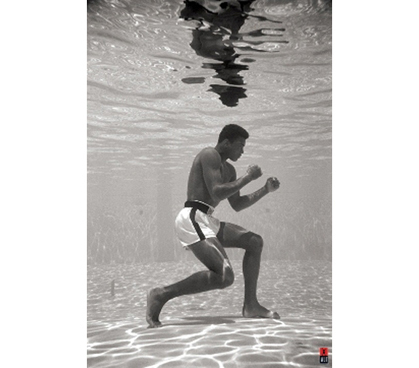 Posters for college is an essential dorm decoration and with an iconic figure like Muhammad Ali your dorm decor will inspire!